I grew up eating a snack called Homerun Ball (홈런볼) in Korea, which is essentially mini cream puffs with chocolate filling inside. The whole package was etched in my mind as a Korean snack when I was growing up. Although I've seen other forms of Homerun Ball elsewhere and since then, namely profiteroles and croquembouche, the culinary awareness and distinction came only in recent years. Now I'm all grown up, I want grown-up fillings. 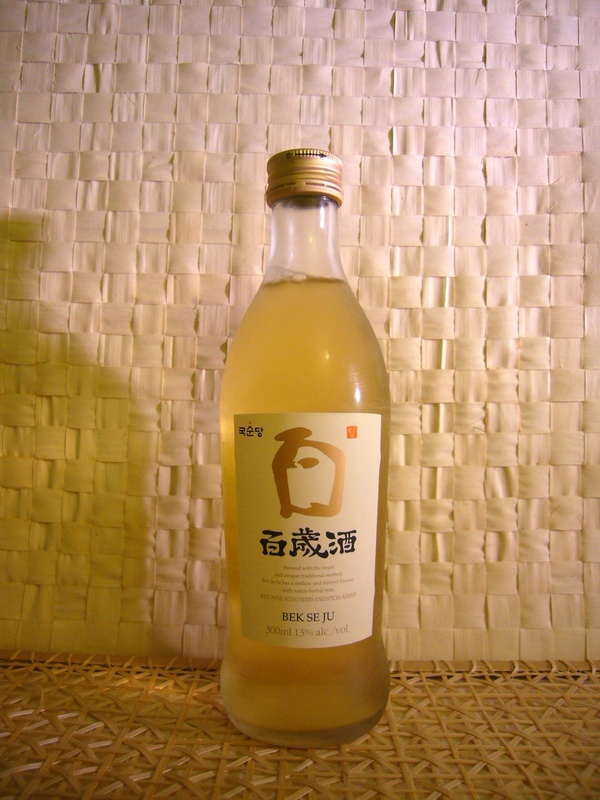 I picked Bek Se Ju, a ginseng/herb infused rice wine, first and foremost because of the availability at Astor Wines. I reduced Bekseju to a syrupy consistency and mixed with melted white chocolate for the filling, hoping that its distinctive flavor would come through. And it did - mellowed out but it's there. It's easy to find a recipe for pate a choux (cream puff dough), but the easiest to remember for me is "2 parts water, 1 part butter, 1 part flour, 2 parts egg in that order." The remaining puffs were filled with Bekseju chocolate, the same fashion as my childhood Homerun Ball. Some are still frozen and others are stored in my stomach.